Bay Area R&B artist Cash Campain drops the smooth new visuals for New Day featuring Casey Cope. Filmed at the legendary Lake Merritt, Cash and Cope connect with producer HokageSimon for the Neo-Soul vibrations. “Heavy neo-soul vibes, that’s all I’m about these days. I’m really about making sure that the soul element of r&b is respected, and honest music remains a thing because I think that’s what’s missing. 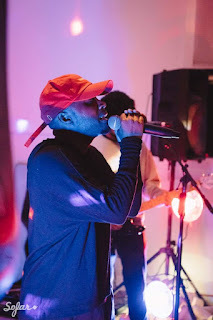 Simon is an incredible producer, Casey is a true artist and you know I’m all about staying true to real r&b crooning,” Cash explains about his new visuals. Press play on New Day and be on the lookout for more heat coming from these rising stars.